And so begins the migration of the southern hemisphere's premier players to the north. The four-year cycle of a post-World Cup exodus has an inevitability about it in the ever-modernising and commercial game where the pound, euro and yen all outweigh their more southern counterparts. A spell of 12 hours on Wednesday into Thursday saw 264 Test caps shift above the equator with each of the three players ticking different boxes and filling alternative roles. 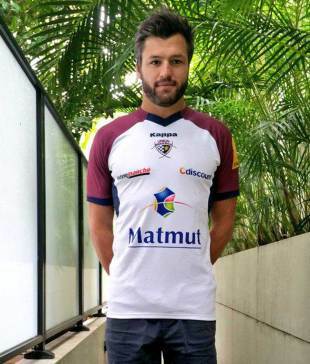 The first of the trio of transfers announced was Adam Ashley-Cooper's move to Bordeaux-Begles. Arguably Australia's most consistent back in the last decade, Ashley-Cooper's two-year deal will see him play for a side who embrace expansive and daring rugby. They are no strangers to throwing caution in the wind and their stunning 51-21 win over Clermont back on October 4 was testament to the open brief Raphael Ibanez has delivered his players. "The announcement of the triple move - whether by design or coincidence - opens the floodgates"
Then at 11pm GMT came confirmation of lock James Horwill's switch from the Reds to Harlequins on a three-year contract. Though he has found himself out of favour at international level of late, Horwill will bring experience and physicality to Harlequins' pack. It is something they have lacked since Ollie Kohn retired while Horwill's leadership will be the perfect foil for Joe Marler and Chris Robshaw's presence in the pack. As the United Kingdom ticked over on to Thursday, New Zealand were enjoying their lunch but it was perhaps disrupted by a press conference on Heather Street in Auckland. Dan Carter, so often the poster boy of the All Blacks but more importantly a key figure among their senior players who have helped drive their omnipresent desire for perfection, announced his time in Aotearoa was coming to an end as news of his three-year deal with Racing Metro was confirmed. The figures were eye-watering with Carter reportedly picking up in the region of £1.3 million a year but Racing Metro president Jacky Lorenzetti immediately highlighted the Kiwi fly-half's commercial appeal as they prepare to move into their new 32,000-seater stadium next term. Their president said: "Carter will be the best-paid player at Racing but also the least expensive because of the economic benefits." Carter's impact will be two-fold as they seek to capitalise on his financial clout but from the playing point-of-view, he fills the void left by the Leinster-bound Jonathan Sexton. Each player will have a different impact in their club but what was consistent in the three moves was the quantity of glowing plaudits offered by the teams they have left behind. Carter's legacy is already cemented, in the words of Steve Hansen, as "the greatest first five-eighth ever" while the All Blacks coach also highlighted Carter's impact on the grassroots scene. Such glowing tributes were similarly levelled at Horwill with Reds CEO Jim Carmichael saying: "James has given everything for the Reds and is one of the great modern-day sporting treasures of Queensland." Ashley-Cooper was also the recipient of similar homages with his boss Michael Cheika saying he had been "a great contributor to the NSW Waratahs". Curtains are being lowered on their respective international careers but the expectation at their new homes are growing by the day as their arrival date ticks closer. All three will have to negotiate the World Cup and another Super Rugby campaign and will no doubt talk of not letting pastures new distract their immediate task but the announcement of the triple move - whether by design or coincidence - opens the floodgates. More talent will move north in the coming months with a number of premier internationals approaching the end of their contract. While some will inevitably be accused of being mercenaries and slaves to pieces of silver when their respective unveilings take place, you cannot begrudge any of the trio their move. Expect a number more to follow in their flight path.